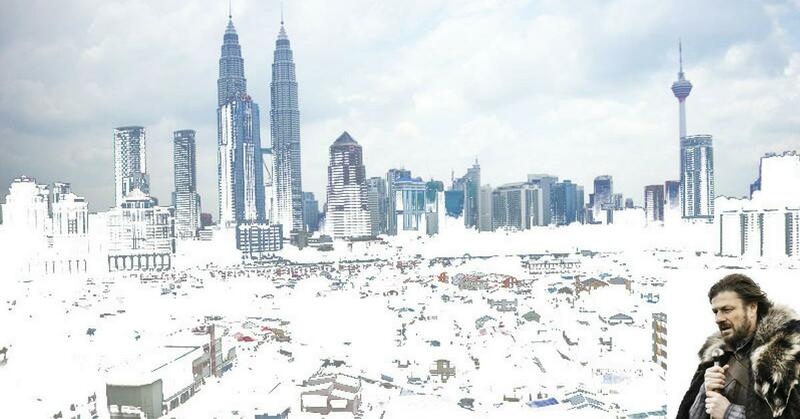 Winter came and gone… and Malaysians were having mixed feelings about it. We are so used to our humid temperature, that a slight deep to 22 degrees Celsius has stirred up a lot of buzz among Malaysians. The Malaysian Meteorological Department, or METMalaysia for short, has stated that the unusual coldness that has graced West Malaysia with its presence is considered normal as it is the monsoon season. METMalaysia’s director-general, Alui Bahari, has also stated that the decrease in temperature is not uncommon, as there have been occasions when the temperature dropped to 15.7 degrees Celsius. Even though it was expected to return to the sunny and humid weather on January 14th, the Sun’s still in hiding, the overall temperature is still under 28 degrees Celsius and our sweaters are still in good use – so we’ll have to see. It was a good time to whip out your outerwear and thick hoodies, without having a heatstroke in silence. Who said buying sweaters is a waste of money? Forget cold morning baths to wake you up – you can’t even wash your hands without feeling like they’re about to fall off. No more teh ais or iced coffee – hot chocolate asam laksa ftw! You can see Malaysians taking it to social media to not only give their opinions about the weather, but also to complain about the fellow Malaysians that have something to say about the coldness. Even with the numerous complaints and debates, it’s fair to say that all Malaysians are loving this cold weather – whether it’s straightforward or not. Let us know how you embraced the cold weather!